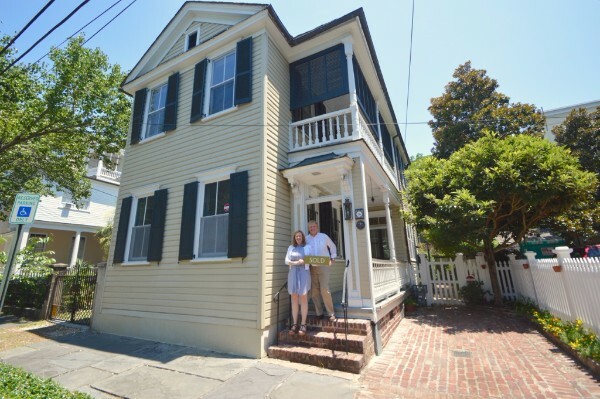 Ginger and Greg just purchased the ca 1870 Charleston single at 56 Smith Street. Those of you who know our property manager extraordinaire Ginger Scully can confirm that she is constantly on the go, go, go--with transaction numbers that rival any other single property manager in Charleston! But in addition to all of her residential matchmaking activities, Ginger has been making some real estate moves herself: most recently, purchasing a home downtown in Harleston Village. But let's back up a bit... A couple of years ago, we featured her James Island home in our newsletter Off-peninsula Style after she listed it for sale with Lois. This 1934 home was one of the first built in Riverland Terrace, and Ginger was only the fourth owner of the adorable cottage. 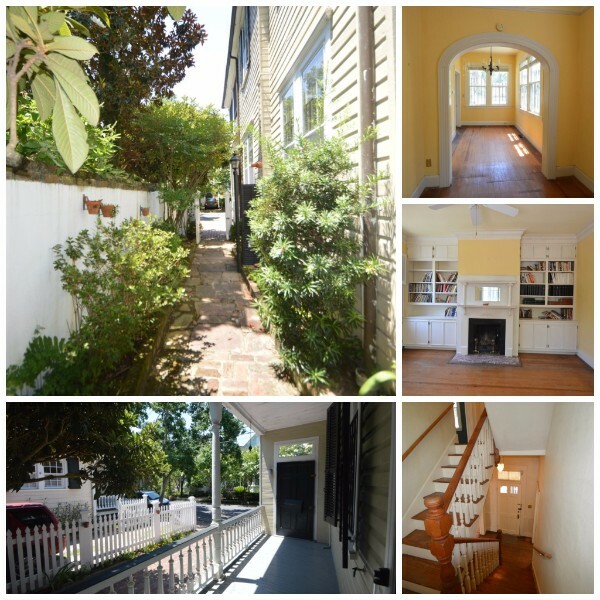 Just a few months ago, we featured Ginger in our newsletter on Charleston's Suburban Cottages. Greg Kidwell, a regional business manager with the National Trust for Historic Preservation, had bought an abandoned 1970s ranch house in the Lynwood subdivision on James Island in December, 2013. He and Ginger (who have since wed) overhauled that property and really did an amazing job. The final touches were being implemented just in time for a new owner--and Lois never even had to list it on the market for sale! It was a great fit for the new owner, and Ginger and Greg were able to take over the lease on one of the properties she manages while they looked for their dream home. Guess what: it didn't take long. Ginger and Greg's new home in Harleston Village. Just last week, Ginger and Greg closed on their new home in downtown's historic Harleston Village at 56 Smith Street, near the intersection of Montagu Street. What a great house! 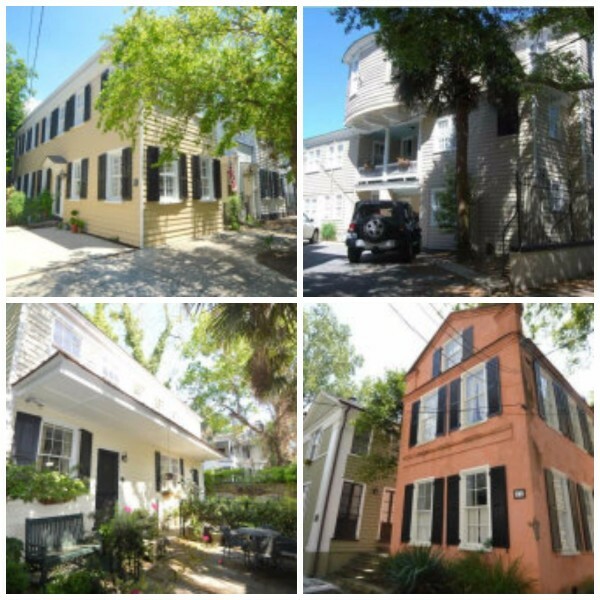 The Charleston single was built around 1870 and was used as a rental property from the late 1800s through the early part of the 20th century, when it was purchased by James Henry Polhemus, a railway mail clerk. When he passed away in 1932, the property was transferred to his sister, Miss Mary Polhemus, who lived in the house the rest of her life. "Miss Mary," as she was called, was "known as Charleston's most expert stenographers and was in great demand for taking testimony in important cases." She joined Major J.D.E. Meyer as a stenographer in his law office and continued her association with his firm, Meyer, Goldberg, and Hollings, until her death. In 1935, Miss Mary passed the state bar association, receiving the Post and Courier headline, "WOMAN ATTORNEY IS PUBLICITY SHY: Miss Mary Polhemus, City's Second Female Lawyer, Modest About Work;" the article repeatedly quoted her stating that she "doesn't like things about herself in the paper." Miss Mary enjoyed preparing meals in the home she shared with her sister-in-law and rented rooms out to other single women during World War II when there was a housing shortage. She died in 1951 after a brief illness at the age of 57. Former Mayor Thomas P. Stoney and future Senator Fritz Hollings were among her pall bearers. She never married or had children, but there's no argument that she didn't have a full life! From 1985-2000, rooms at 56 Smith Street were used as a bed and breakfast. The house at 56 Smith Street was transferred to her nieces, and Miss Mary's family held on to the property until it sold in 1968 to Miss Ann Harper (Miss Harper believes Miss Mary's spirit still lives in the house and watches over things--in a good way!). Miss Harper shared the classroom with many of Charleston's physicians at the Medical University, where she worked as a medical technician for many years. She also never married or had any children, but she kept her house full of boarders. From 1985-2000, she ran a bed and breakfast at 56 Smith Street, using the pink and green bedrooms as guest rooms with the rear bathroom and sitting room as shared between the two. She made eggs and bacon every morning for her guests. The 1908 square foot house with three bedrooms received a Carolopolis Award in 1968 and as Philip Simmons was a personal friend of Miss Harper's, he made all of the window grates and handrails for the home. What an interesting house with lots of great history. Thanks to Lois for helping them through the buying process, and congratulations to Ginger and Greg on their 'new' old home. We just know they are going to love it here! 8 Trumbo Street, 33 Pitt Unit 2, 2 Wasbee Range, and 11 West Unit D are currently listed for lease in Harleston Village. Do y'all know someone looking for a rental in Harleston Village? They could be neighbors of Ginger and Greg! Ginger has four rentals on the market in the neighborhood: 8 Trumbo is a fully furnished two-bedroom Charleston single with a private patio and koi pond; 33 Pitt Unit 2 is a one-bedroom unfurnished unit; 2 Wasbee Range is a fully-furnished two-bedroom cottage tucked into a quiet lane; and 11 West Unit D is a one-bedroom on the top floor of a Charleston single with incredible views of the city. Please give Ginger a call at 843.513.5525 or email her at ginger@loislaneproperties.com.